At Red Noland Pre-Owned in Colorado Springs we can find you a gently pre-owned vehicle that fits your needs, wants, and budget! 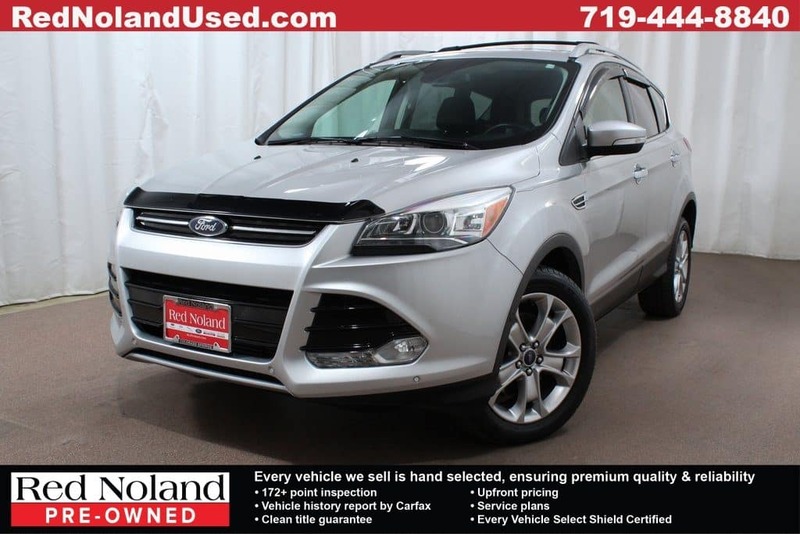 Currently in our inventory is this sporty 2016 Ford Escape Titanium SUV – and it has less than 10,000 miles driven and an affordable $23,999 price tag! Equipped with a EcoBoost 2.0L I4 GTDi DOHC Turbocharged VCT and paired with a 6-speed automatic transmission, you are looking at getting an estimated 21 MPG city/28 MPG highway. This loaded Escape has many great features for you to enjoy including navigation system, blind spot monitoring system, panoramic vista roof, active park assist, low tire pressure warning, and rearview camera. So, stop into Red Noland PreOwned today to look at this one-owner clean CarFax 2016 Ford Escape Titanium! Check out how sporty and loaded this vehicle is Then, take a test drive and experience the impressive performance of this affordable and efficient crossover SUV.